Music Therapy: participants share talents and enjoy the healing effects of music. Social Activities: participants cultivate friendship & collaboration, and maintain an active lifestyle. Hot Meals: participant's nutritional requirements are met and approved for diabetics. Health Education: gain knowledge about self-care. Library: participants have access to reading materials and educational literature to promote learning. Transportation: participants get assistance with transportation to and from our facility. Podiatry Services: foot care rendered by Podiatrists as needed. 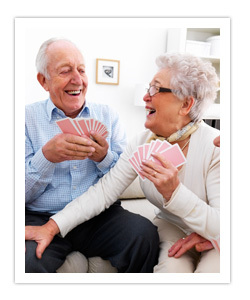 Activities are designed to keep our clients active mentally and physically. We strive for a safe, friendly, relaxing atmosphere. Lunch accompanied by milk, coffee, etc. We will also have a Barber and Hair Dresser coming to our facility every week. This service will be at your own expense; however, discounted prices are pre-arranged for the convenience of our clients.